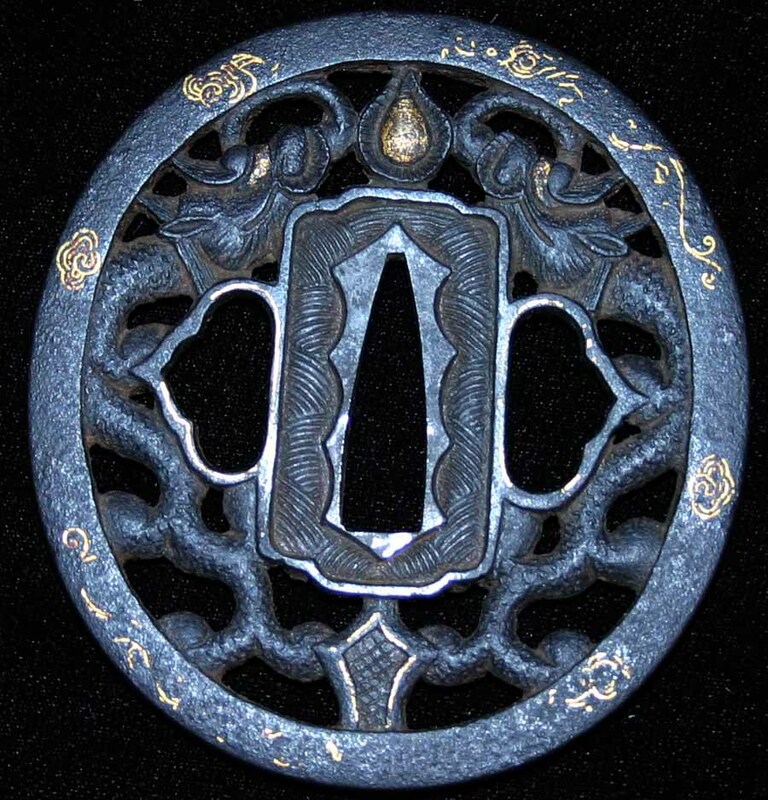 This is another nice Namban sukashi tsuba from the same collection. The motif is the traditional dragons kissing the flaming jewel but what is unusual is it has a Kenai and Higo look and feel to it. 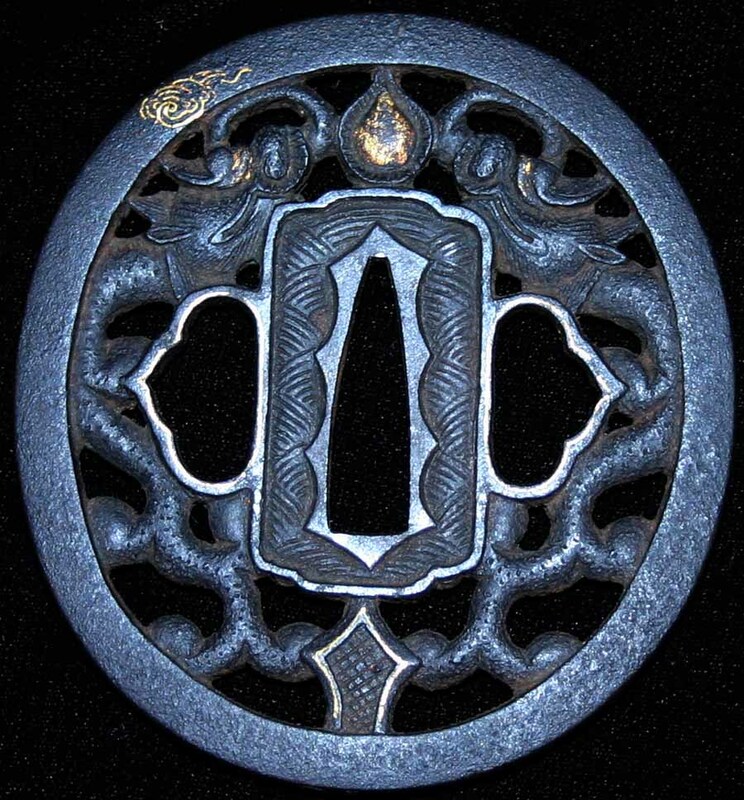 This katana tsuba measures 2 15/"high by 2 11/16" wide. Price to sell!